We’d love your help. 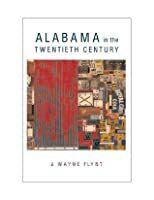 Let us know what’s wrong with this preview of Alabama in the Twentieth Century by Wayne Flynt. 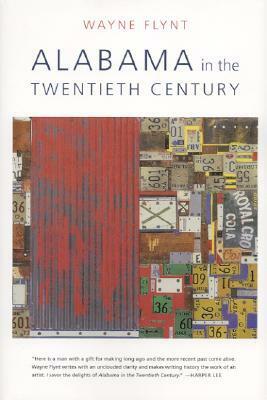 To ask other readers questions about Alabama in the Twentieth Century, please sign up. Flynt does it again. This guys ceases to amaze. Needless to say the size of this book is pretty daunting. And southern history does not always make for good reading. In my experience, most southern history drowns in its own nostalgia or is just too dry. But Flynt delivers here in a journalistic style that keeps it moving. He does a good job of showing cause and effect relationships/events. It's one of those books you wish you could memorize all of the facts. If you want to know what really makes Flynt does it again. This guys ceases to amaze. Needless to say the size of this book is pretty daunting. And southern history does not always make for good reading. In my experience, most southern history drowns in its own nostalgia or is just too dry. I read this book because a high school history teacher quoted this book in his inspirational speech at graduation last May. I taught 4th grade for 8 years and loved teaching Alabama history. This book was eye opening and inspirational to a woman who has lived in Alabama her entire life. Excellent book on all aspects of the history of the Great State of Alabama. This was written by a former professor of mine at Auburn University. Good introduction to the state history. Using the 1901 state constitution as its framing, this history is loaded with facts.